Welcome to our first project announced via Facebook! 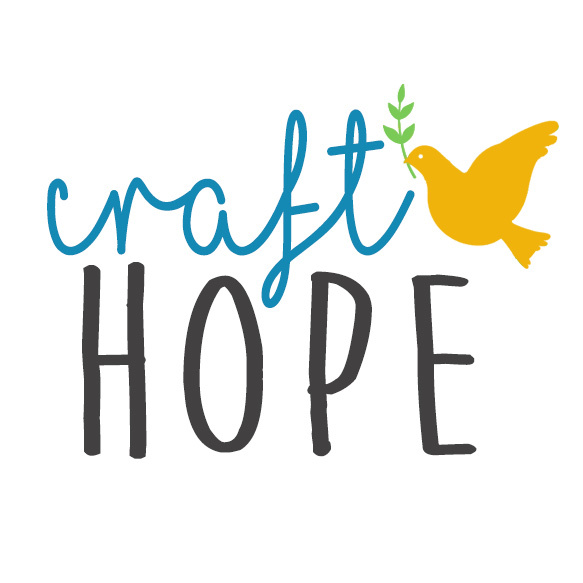 While the Craft Hope website is being rebuilt, we will continue to spread HOPE. I’ve created this ‘event’ so you can sign up to participate and also ‘share’ the event on your own timeline. This is a test run and I’m so curious to see how it could spread. This could get HUGE. I’m so excited at the possibilities. Without further ado, I’d like to welcome you to PROJECT 17 :: APRONS FOR HAITI. We are working with the fabulous Rebecca Sower, founder of Haiti by Hand. A trip I took to Haiti in December 2009 changed my life. I knew Haiti was a country of poverty and suffering, but it wasn’t until I spent my first week there that I noticed a glaring lack in the faces of the women I met. It was a lack of anything to hope for that I felt. And it broke my heart. Most women in America can’t comprehend the life of daily physical misery that I witnessed in the women and mothers of Haiti. From a young age, usually their teens, they resign themselves to an existence where half of their children die, food is scarce and necessities of life are rarely at hand. This life would be hard enough if many of them weren’t unnoticed, neglected, unloved and sometimes abused. My skills and talents are mostly in the arena of art and craft so I knew I needed to pull from those resources to reach out to these women. As much as I would love to write all of them a big check, I knew I was going to have to reach deeper and be more creative in my ministry toward these ladies. I began carrying suitcases full of donated crafting materials to Haiti and showing the women how to make crafted items to sell. I soon discovered that with the small amounts of cash they were receiving, something else was happening too. Knowing that someone had invested time and love in them gave them a spirit of hope that had been long gone. The goal of Haiti by Hand is to reach out to the women and children of Haiti through crafting and caring. Just as all women know a quilt means love, a woman in Haiti knows that wrapping a handmade quilt around her baby is a deep gesture of love and community. And so that is our mission…pouring our time, energy and love into the handcrafted pieces that will travel across the sea to provide hugs, hope and love to the beautiful women of Haiti. It is unlikely that the average Haitian woman will ever receive anything that is special and pretty, something just for herself. Daily life for the Haitian woman is grueling and backbreaking. Most have to carry 5-gallon buckets of water on their heads from miles away. Cooking is done in a pit in the ground from handmade charcoal. The few pieces of clothing they have are washed in the river and hung to dry. To receive something as precious as an apron made with love from pretty new fabrics would go a long way in making a Haitian women feel special. We would love for you to join us as we sew and collect aprons for the women of Haiti! –Contact Rebecca at haitibyhand@att.net with any questions. Join us!! We love feedback from our craft hope community. Join our discussion on Facebook!